Let’s get a couple things straight. #1 – The iWL250 and iWL255 are exactly the same unit (we don’t know why they changed model names). 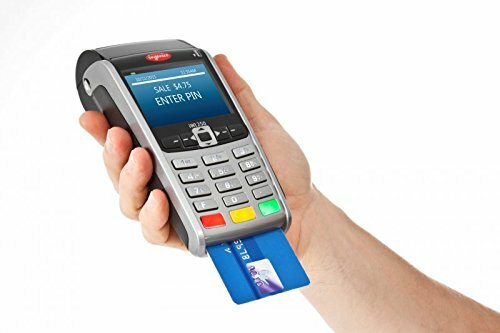 #2 – This is the ultimate mobile credit card machine. 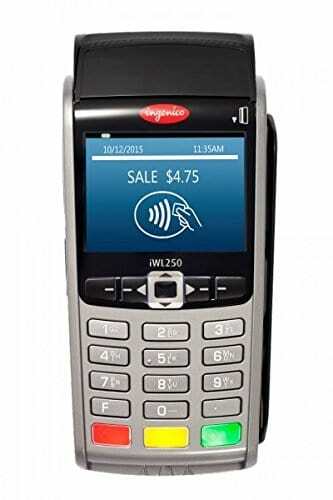 The Ingenico iWL250 packs a load of features including vivid color display, amazingly small form feature, and the power to process every form of electronic payment. The anti-shock and water-resistant design make it a durable companion while out on the go. Fast printer and long battery life help you take care of business fast. The iWL250 can wirelessly connect through GPRS, Bluetooth, or Wifi and boasts high security for processing even in the most difficult environments. Accepts all electronic payments including wireless apple pay. The terminal works well but is a little small counter. Good for traveling though. I like this terminal. It is fast and hasn't given me any problems. Color screen looks good. HMS sent me this machine so that I can process wirelessly. It works fast, looks nice, and makes our events easy. No problems so far.